No job was too small for this stalwart worker who helped quietly and efficiently behind the scenes in an honorary capacity for some thirty years. For much of the time the second and ‘A’ team trainer, he also assisted the first-team teamer and acted as a general handyman. Always willing to assist the club at any hour of the day or night, he would turn up at 8 am. to see the team off on a long away journey and be there to welcome them back late on in the evening. Secretary-Manager Gordon Hunt described him thus: ‘Reuben was a grand fellow in fact a man in a million the club was his second home; he was really part and parcel of the place where he had been a great worker. He was always ready to go out of his way to help in a dozen and one different ways’. Mr Hilton, who lived in Haig Avenue, was employed on the railways for almost 50 years, working on the maintenance of the electric trains. 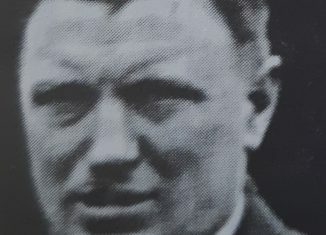 As a youngster he played for Southport Reserves as well as a number of amateur clubs; he was in the first group Of St John’s Ambulance men Who left Southport in 1914 to take charge of a military hospital at Lydd and later served in the Royal Army Medical Corps. He collapsed and died actually on the Haig Avenue pitch while working with the groundstaff on July 6th 1951, aged 66.